Out with the old and in with the new! Your beauty product collection may be needing some serious replacements. As a general rule, most beauty products are doomed six months after opening them. And if your products are natural and organic even sooner. Cheap products may not last as long, as some are formulated with no stabilizers. And with exposure to heat, oxygen and bacteria build-up, your products might be bad for your skincare regimen. The Australian company Choice says mascara and liquid eyeliner should generally be tossed away 2 to 3 months after first use. Liquid foundation, concealer, face wash and eye cream last from 6 months to a year, according to Latina magazine. Get rid of lipstick and lip gloss, creamy eyeshadows, and shower gel after a year or a year and a half at most. Nail polish, powder foundation, eyeshadow and blush are good up to two years. Good news is that wax based products like eye and lip liners will pretty much last forever. If you see a change in the color of the product or smell guess what... toss! 12 award-winning products in 1? Yes, please! Oh, and the super-cute drawers don't hurt. Ginger Souffle™ Whipped body cream is just one of the goodies. Need we say more? All of the brand's best-selling products in one place. Someone's going to be very happy. Okay, this one may be for your more low-key beauty-obsessed bud -- but who likes chapped lips? Give the gift of the perfect on-the-go blowout. This is an amazing find, if we do say so ourselves. If you're feeling extra generous this year. More irresistibly cute drawers, but can you blame us? This concept is pure genius. Your friend gets to try all 15 samples, and once she finds one she can't live without, she can redeem a full-size bottle with the certificate included in the set. Were we right, or were we right? 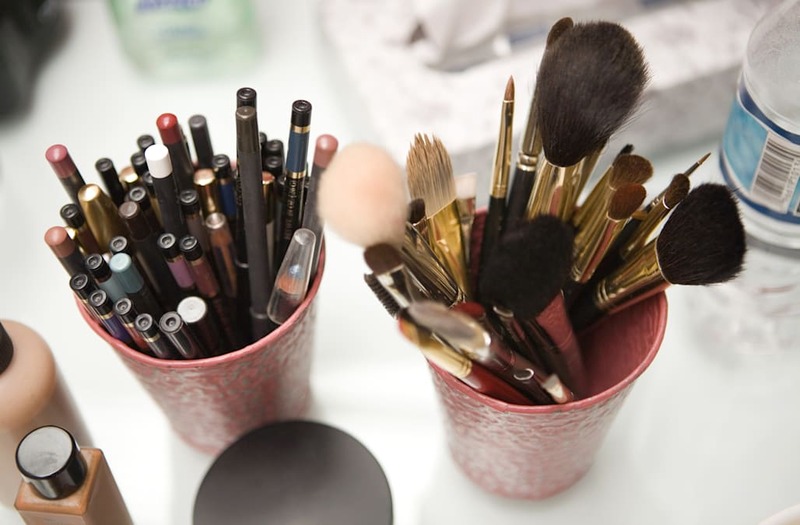 Give those brushes a stage instead of shoving them in a drawer or makeup bag.